Home » Affordable Refurbished Printers Online UK – Athema Services Ltd » Dot Matrix Printers for Sale | Best Printers Online » 01308203 Oki ML-3320 (eco) Dot Matrix Printer - Refurbished with 3 months RTB warranty. 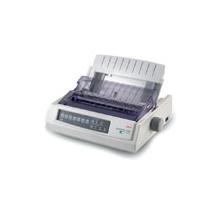 01308203 Oki ML-3320 (eco) Dot Matrix Printer - Refurbished with 3 months RTB warranty. Engineered to work in the most demanding of environments this tough desktop printer has provided over 10 years of dependable service to business. Now enhanced with the latest power management technology power consumption is reduced to just 1.5W in “Sleep mode” to deliver significant energy savings over the products long life. The ML3320eco printer can handle cut sheets, continuous feed paper and multi-part forms. Perfect for printing receipts, invoices, picking lists, reports and spread sheets working across a wide range of retail and production environments. Its robust 9-pin print head can produce up to 5 copies simultaneously for highly efficient document production. Top, bottom and rear paper input paths and a built-in rear push tractor feed unit provide flexibility. Optional bottom push and top pull tractor units are available to allow the loading of two different media types simultaneously or the feeding of heavier papers and labels. A Roll Paper Stand option is available for economical printing of passenger lists, call logs, data logs etc. 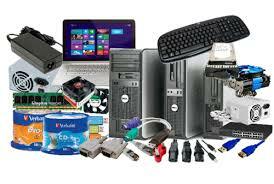 The ML3320eco printer has been developed to be eco-friendly. OKI’s SoC (System on Chip) technology reduces power consumption to an impressively low 1.5W in “Sleep mode” keeping your running costs and energy consumption to a minimum, as well as reducing your carbon footprint.